Women fill their bathroom cabinets, drawers and countertops with treasures of personal care and beauty. In recent years, men have become more personally attuned, seeking to take care of their appearance, almost as much as females. Men’s shaving has again become a very personal time of attention paid to oneself in the mirror, a time of introspection, self-pampering and grooming. Part of the mansome revolution involves change in the quality of shaving materials and even the shaving process, itself. In decades past, men gave up “old fashioned” implements like safety razors, shaving brushes and foaming cups for quicker processes to just get them out the door. Now, men enjoy the art of shaving. They enjoy warm shaving cream foamed in a cup, brushed onto the face with the finest boar’s bristle brush. They enjoy the difference a safety razor makes and taking extra time to ensure the best, closest and most self-attentive shaving process. Heck, men even enjoy the swishing of water that rinsing a double-edged razor provides between strokes. This is time to think, clear one’s head and self-indulge. Along with the romanticization of shaving today as in the Victorian era comes the enjoyment of putting together one’s own mens shaving kit. Your men’s shaving kit is your own answer to a female’s makeup bag, the male version of self-indulgent moments of grooming. 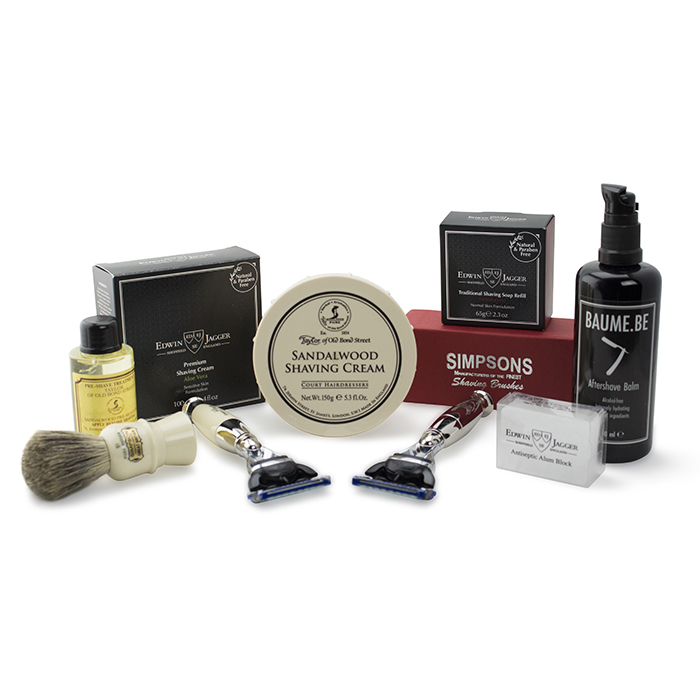 Just as much as you deserve self-indulgence, you deserve a well put together mens shaving kit. 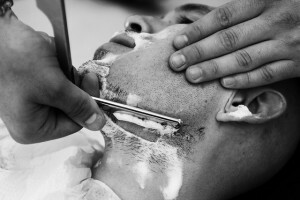 Choosing the perfect razor for your mens shaving kit comes down to deciding the type of shaving experience you prefer. You may still wish to go with modern convenience of a Fusion razor or a Mach3. You may prefer the vogue, experience and close shave of a safety razor. Or maybe you are a real, old-school shaving aficionado, opting for a sling blade. Perhaps the most fun to be had in shaving is the brushing on of foam. Quality bristles feel so great against the skin and start the shaving process elegantly and timelessly. Synthetic brushes work great for people who want the experience but not the animal bristles. Badger bristle brushes are available in several forms, including pure, best, super, or silver tip. Pre-shave skin preparations do exactly what they imply. That is, they prepare the skin and hair for the shaving process. 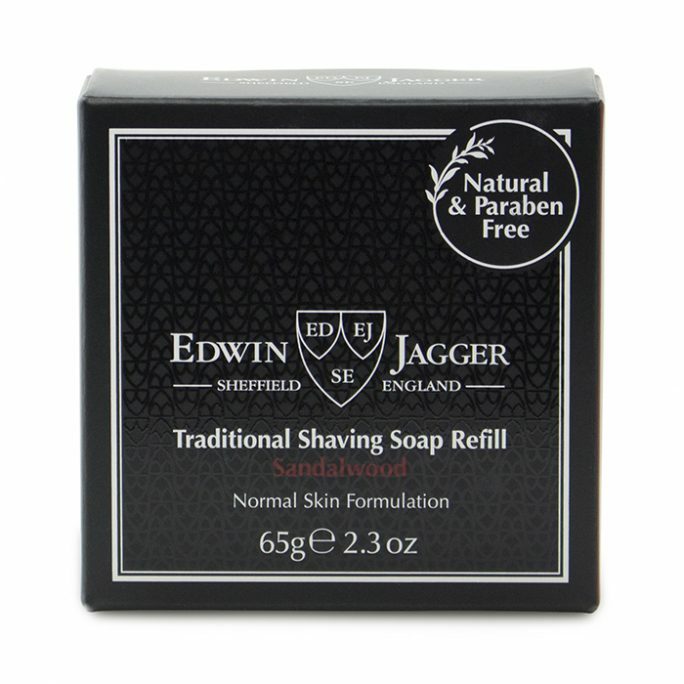 By taking this extra step, your shave will be smoother, closer and more of a complete process. No men’s shaving kit is complete without pre-shave. Whether you prefer shaving cream or shaving soap, brushing it on provides the full, enriching experience that your grandfather enjoyed each morning. Once shaving is complete, nothing wakes your skin up from its warmed shaving pleasure like a good application of after-shave. Of course, your partner loves the fragrance on your skin just as much as you love the tingling that hurts so good. Other items precious to any mens shaving kit are a quality zippered bag to contain all of your chosen shaving routine implements, a favorite shaving mug for your cream and brush, and a razor stand for the bathroom counter. If putting together your own shaving kit is a bit overwhelming, have no fear: This process is easy, thanks to Original Shave Company and our Bundle & Shave selection process. 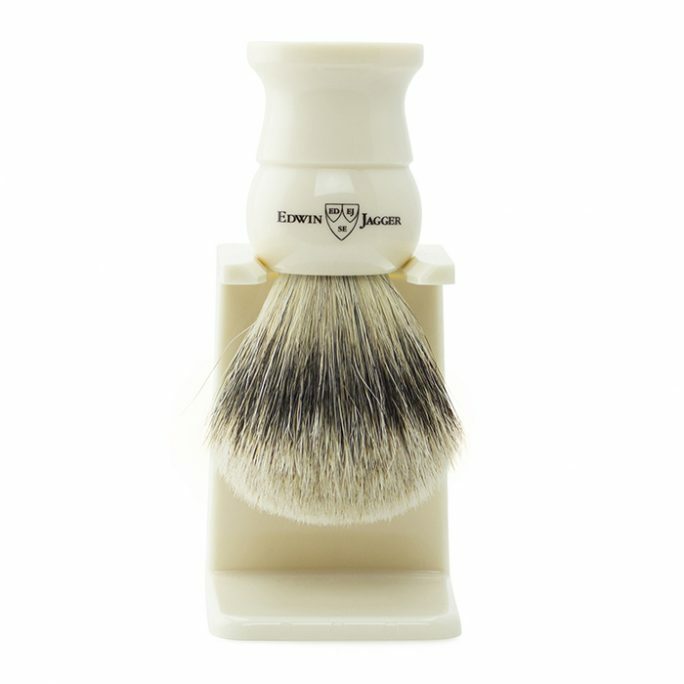 What Makes a Good Shaving Set? 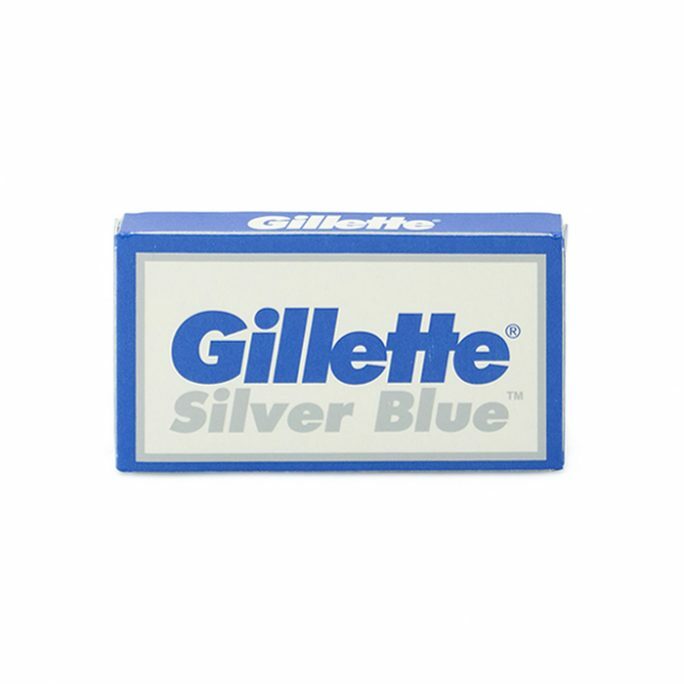 Each morning, millions of men from around the world wake up, take a razor blade and use it to shave themselves before starting the day. The fine art of shaving used to be a laborious but very manly ritual that extended from generation to generation. However, this wet shaving event has lost some quality and enjoyment due to the proliferation of poor quality shaving cream, cheap razors, razor burn and the pace of our society. The importance and enjoyment of shaving is not lost though. In fact, shaving is back on track and is more popular than ever with funny commercials from shaving subscription companies who promise you shaves as cheap as dollars a month. The shaving process is something that should be enjoyed and all you need is a few quality minutes to get a good shave in the morning. This is really possible with an excellent shaving set which includes all the shaving essentials you need. What Should A Good Shaving Set Comprise Of? At this point, you are probably asking yourself what a good shaving set is comprised of right? The main ingredient in a good shaving set is the one that makes it all happen, the razor. Wet shaving razors are made for different shaving experiences and if it is your first time, then you may want to try a few to find one that’s perfect for you. You can get a close wet shave experience with some of the razor choices available which are Straight, Safe, Fusion or Mach3 blades. Next comes the shaving brush. A good brush for shaving should have water retentive features, excellent lathering capabilities and should be soft to the touch. You’ll have many choices here like synthetic and natural brushes with different hair types. For example, badger brushes have different hair applications such as the SilverTip Badger, Super, Best and Pure to both stand up and provide the closest shave since your hair follicles are ready to be cut. Pre-shave solutions are essential to prepare the skin for cutting facial hair. This will depend more on a man’s skin type than anything else. So if you have sensitive skin, you’ll want pre-shave products like oils, creams or lotions that will make it infinitely easier to get a close and irritation free shave. 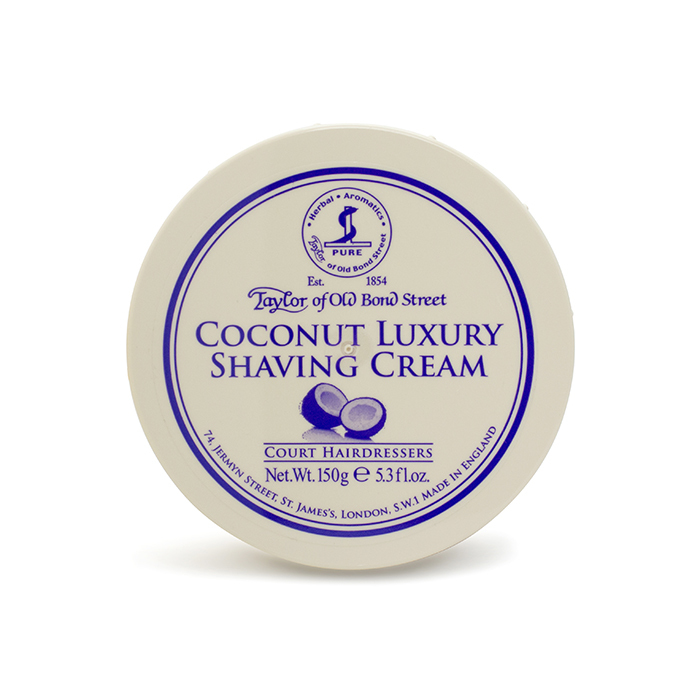 A shaving cream or soap is what you’ll lather your face with before putting the razor to skin. When the manly deed is done, employ an aftershave oil for a soothing finish. Like pre-shave products, the aftershave you get depends on your skin type and preference. A shaving set that is free from harmful chemicals is definitely what you need to look for. Check the ingredients of a shaving product you’re interested in before buying it. You can do so by contacting us before your purchase. Is it Triethanolamine, Parfum and Phthalates free? 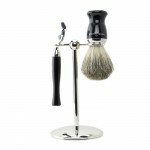 You’ll need some answers to your questions to make sure the shaving set you are looking to purchase is right for you. As mentioned, there is a way to get all your shaving set essentials safe and free from harmful chemicals. A good shaving experience is modified and actually enjoyable when you take the time for it and use only natural ingredients. What’s great is that OriginalShaveCompany.com provides a wide variety of shaving products that you can bundle together for a special shaving experience. You can save time, money and get everything you need at the quality you can expect from us. Our mission is to bring back the high art of the ultimate shave for each and every man. When buying your shaving kit in a set, you will pay less overall than if you were to buy the individual items separately. This is true on our website, OriginalShaveCompany.com, which rewards customers for purchasing/bundling items for a lower price. If price is a big deciding factor for you, you are definitely going to want to pay attention to the “Bundle & Shave” kits since you get the most bang for your buck with these packages. Not only do you pay a lower price for the products but you also save on shipping and handling since you are bundling your items as one order instead of purchasing one item at a time. 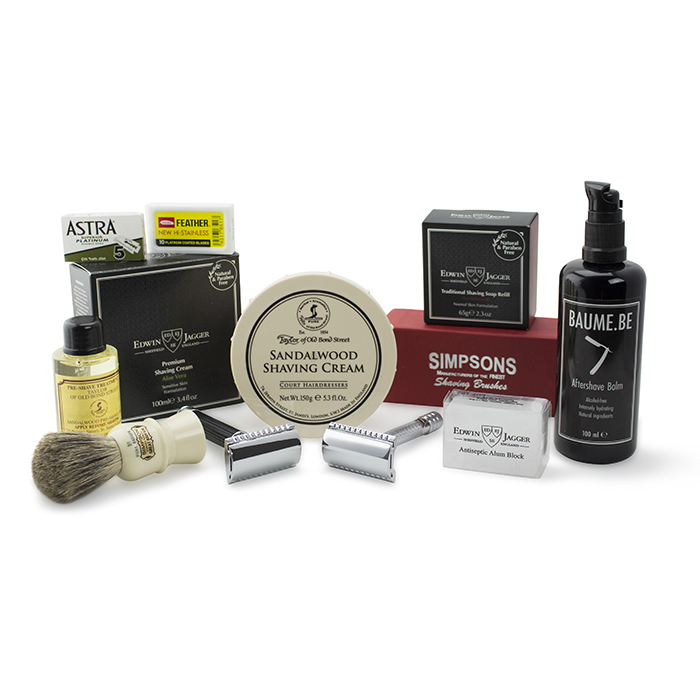 A shaving kit simply makes it easier for you to purchase all the items necessary for wet-shaving. 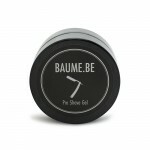 Without the offer of a shaving kit, you would have to source and buy each item separately. For a beginner to wet shaver, this could be a very tedious task. Having to sort out different items that you may or may not be familiar with makes it a frustrating buying decision. Buying a shaving kit removes that frustration by giving you options on choosing from a pre-selected criteria which is guaranteed to please your wet shaving senses. If you buy different items from different manufacturers, chances are that you may end up with so many different items that simply do not look good together or work well together. Buying a custom created shaving kit on the other hand can solve this problem. There are kits where the stand, brush, razor and even bowl all share a basic design that makes you feel good by just looking at them because it is a beautiful sight and they are all consistently presented for daily use. There are shaving sets that come with multiple variations of replaceable items like safety razor blades, soaps and shaving creams. This makes it possible for a beginner to sample different products from different manufacturers and to possibly find his brand for a particular item. You may appreciate one manufacturer’s quality from another. Purchasing one of our customizable bundles allow you to choose your manufacturer across all product groups. There are also wet-shaving kits that allow you to put together your own kit. The way this works is that you get to decide if you want a straight razor or a safety razor kit, or maybe a mach3 razor kit. Then you choose your soap or cream and choose the razor blades where applicable. Then a stand, brush and bowl. There are also kits that offer just a razor, a brush and a stand. You ultimately have the flexibility to purchase only the brands and types of shaving needs you want and not be forced to purchase useless grooming products which will only collect dust. This set is a combination of products from two well known names in the shaving world, Colonel Ichabod Conk and Merkur. It combines a Merkur’s Safety Razor with a Col. Conk’s badger brush, Merkur blades, a drip stand, the Col’s soap and a black apothecary mug. 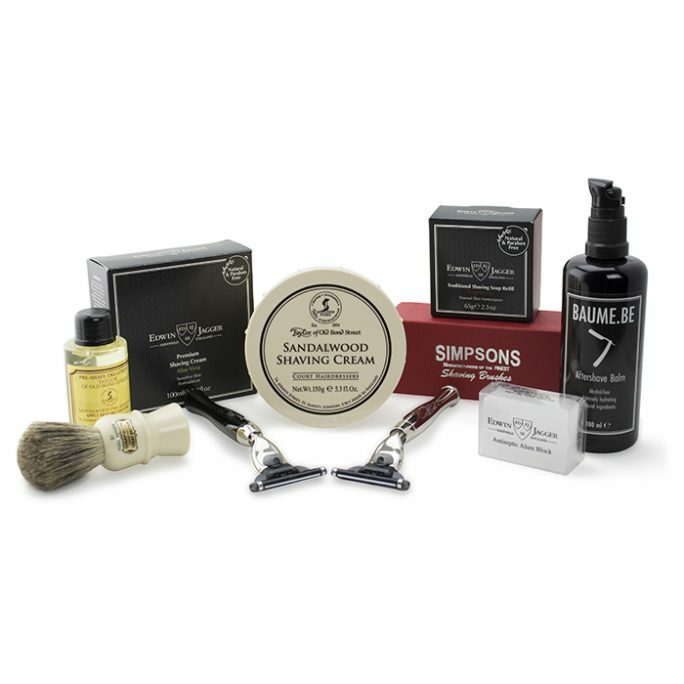 This package allows you to design your own shaving set which will include a straight razor, shaving brushes, pre-shave and after-shave essentials, soap or cream, stand e.t.c. This kit combines a faux ebony Mach3 shaving razor with an Edwin Jagger pure badger brush and a nickel plated stand that compliments the nickel plated mach3 razor. This package will be perfect for you if you are into safety razors but you want to build your own bundle and select individual items according to your taste. From razors, to soaps, creams, pre- and after- shaves, it’s yours to design and combine. It is always cheaper and safer to buy your shaving items in a set, especially for the first timer who wants to experiment with different shaving products. Leverage our expertise and get your pre-selected shave kit today. As times goes on and you gain more experience, you can add additional shaving essentials to your daily routine and make shaving a task you look forward to every day!